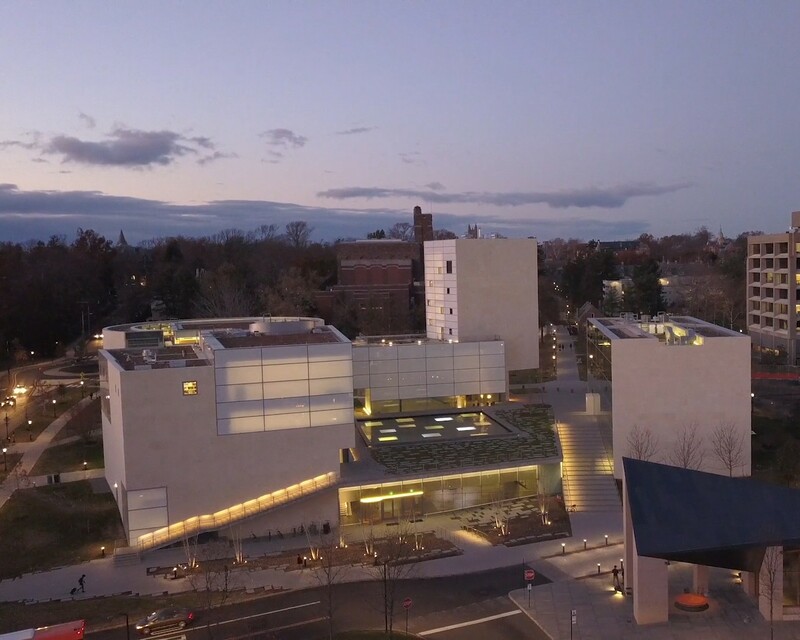 Steven Holl Architects in collaboration with Spirit of Space has created a new short films on the Lewis Arts Complex at Princeton University, which opened to the campus in October 2017. The film captures a day at the art complex, visiting practice and performance spaces, the below-ground forum, and the outdoor plaza. Steven Holl and Partner Noah Yaffe discuss the thinking behind the design and construction of the buildings and a professor and student discuss their experience of the building. The Lewis Art aims to create a new campus gateway; shaping campus space while maximizing porosity and movement from all sides. The project includes a theatre and dance building, an arts building, and a music building with instrumental rehearsal and practice rooms. All three buildings are integrated in a forum below ground. Overlook views into the dance and theatre practice spaces and the orchestral rehearsal space are aimed at provoking curiosity and interaction. Each of the three buildings’ interiors was developed uniquely, inspired by the arts they contain.